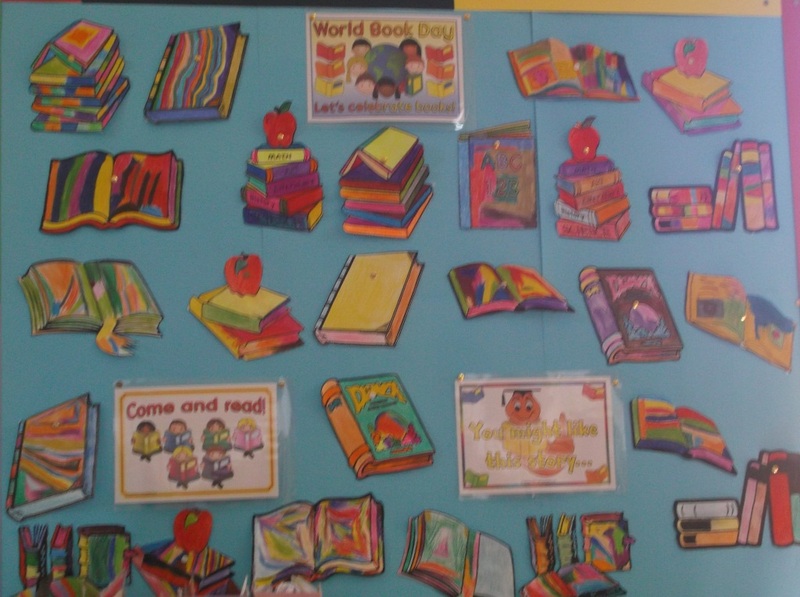 Love for Books: The girls showed their love for books and reading, by colouring a picture of a book to celebrate World Book Day. Reading Corner: The girls are reading a book in the reading corner of the classroom. 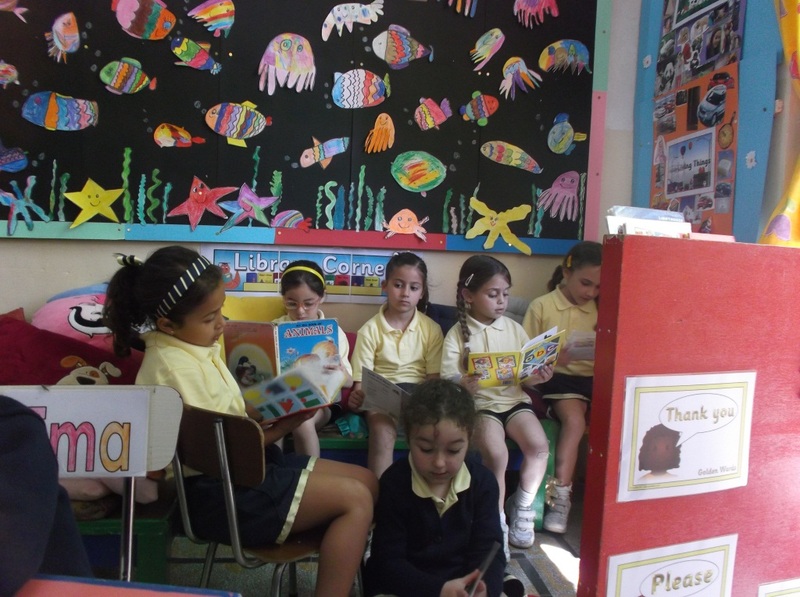 They enjoy taking a book and reading alone or in pairs when they have finished their work. 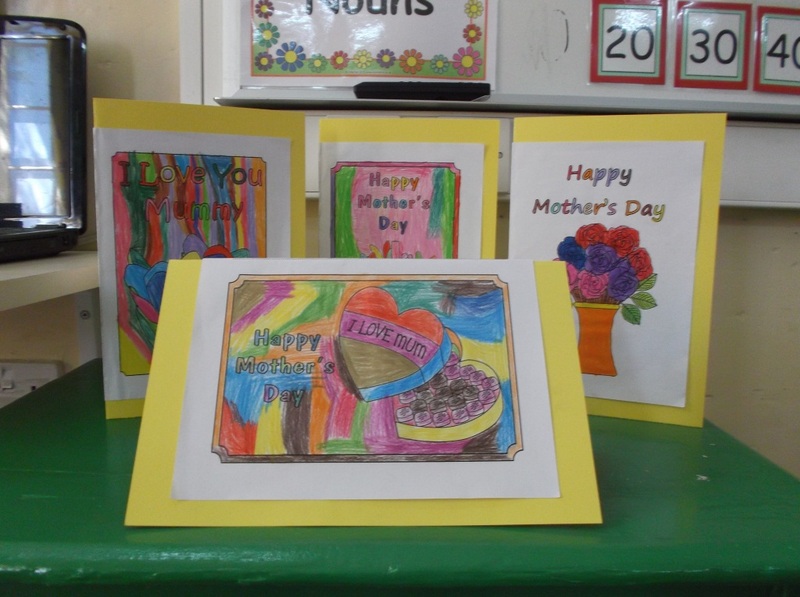 Mother’s Day Card: The girls carefully coloured a card to celebrate Mother’s Day. Underwater Scene: Free drawing in class: The girls were asked to draw a picture of any living thing found in the sea. They then coloured it carefully. 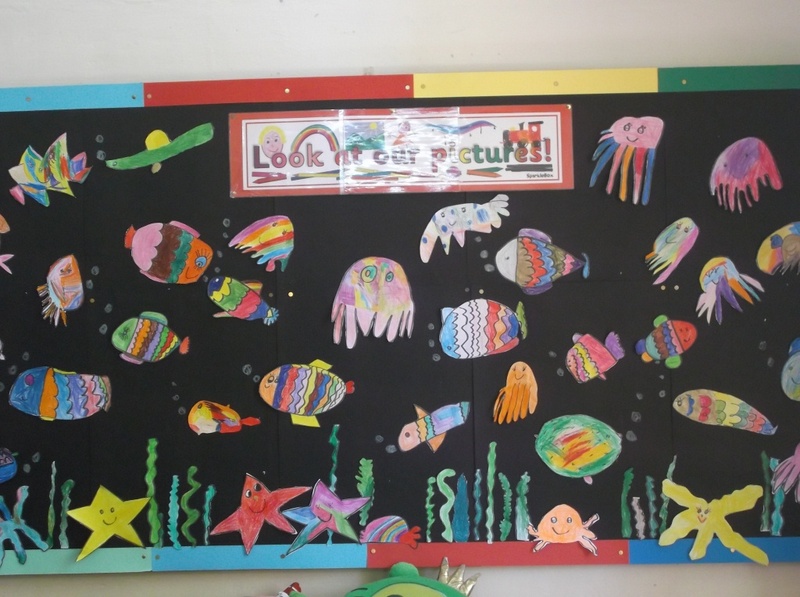 This underwater scene is the result.